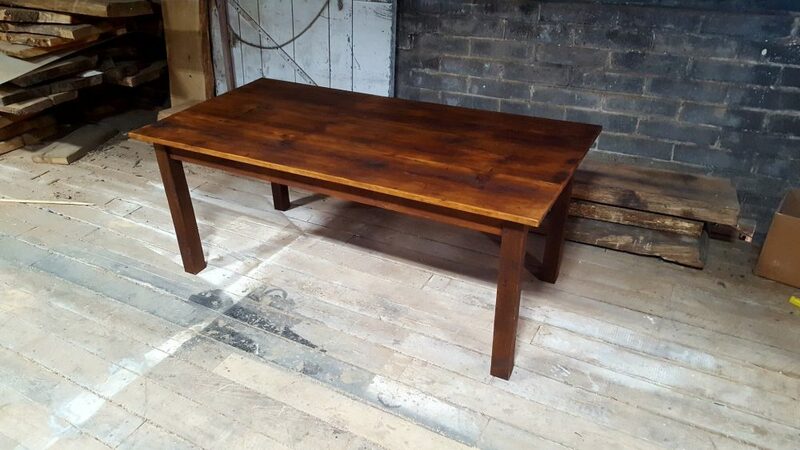 Based on a design created for a home built in 170, the reclaimed wood, wax finish (four options to choose from) and square legs or tapered legs accentuate the honest simplicity and timelessness of this table. Using traditional mortise and tenon joinery means this will be an heirloom passed to generations to come! 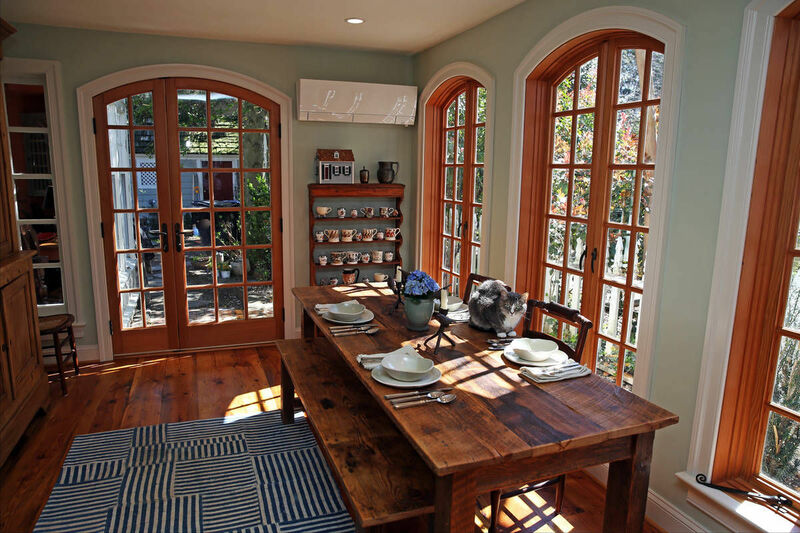 Built right here in our shop in downtown Fredericksburg and based on a design created for a home built 1770. 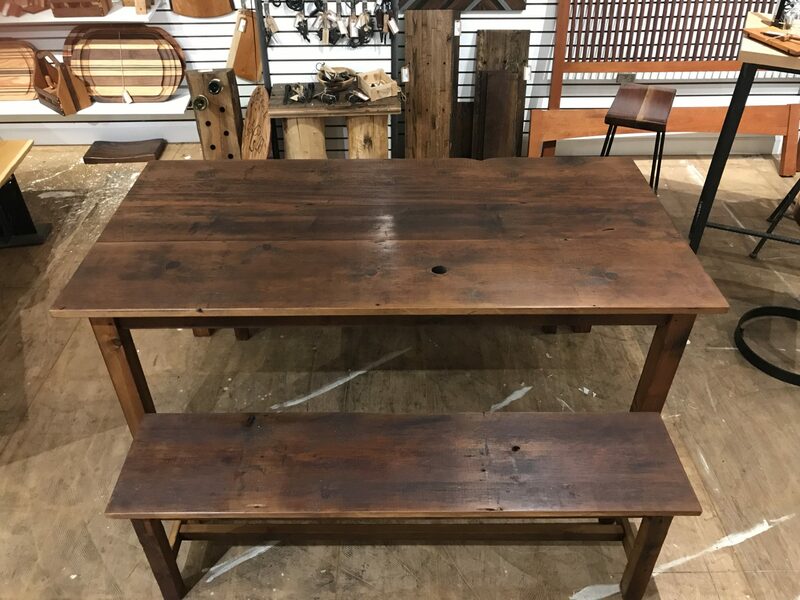 The reclaimed wood, wax finish and square or tapered legs used accentuate the honest simplicity and timelessness of this farm table. 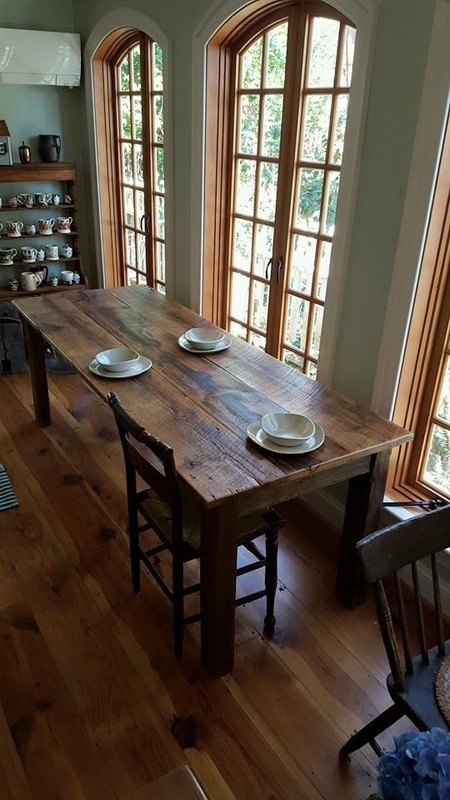 Using traditional mortise and tenon joinery means this farm table will be an heirloom passed to generations to come! 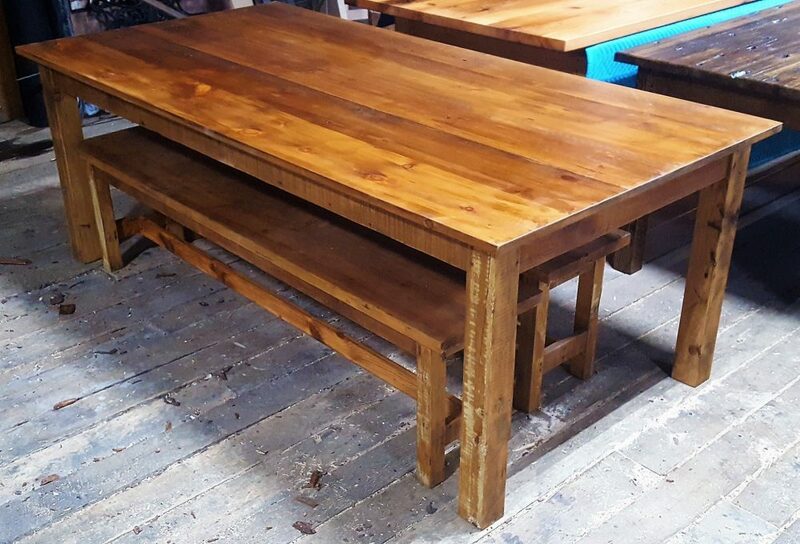 Eight different sizes to choose from, come see this farm table today. Pricing depends on size of table.